IMPERIVM LVCIFERI is the latest release on Deivlforst Records. 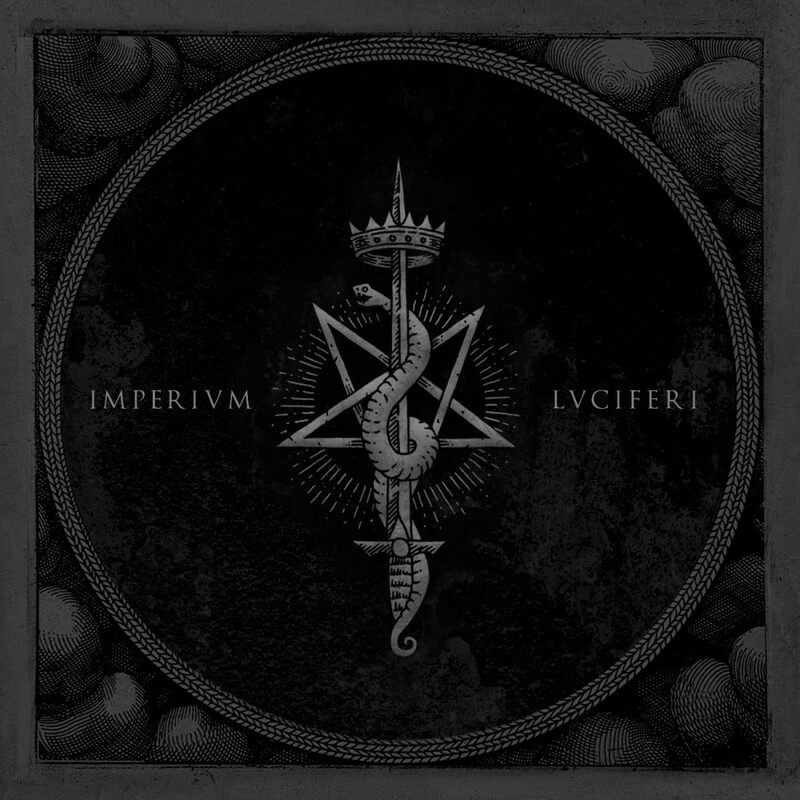 IMPERIVM LVCIFERI is a bit of an oddity because the identities of the album’s creators have been concealed, it is only said that they are both already on Deivlforst. So the music is forced to speak for itself, without any preconceived notions about the musicians’ history or progression being considered. The second odd thing about this release is that it falls firmly into the style of old-school analog dark/drone ambient. While the majority of releases on Deivlforst are squarely rooted in dungeon synth, IMPERIVM LVCIFERI paves a wholly different path for the label. We have previously seen Die Mauern Der Nacht by Grimrik and Songs from the Fyrgen by Wolcensmen, both of which veered from the path of dungeon synth. This is the third out of some 28 releases to diverge from the dungeon synth (and black metal in the case of Arath) roots. Maybe this is a hint at the future direction of the label, expanding further into other genres. The mention of black metal above does give us a bit of direction in comparing this with the other releases on Deivlforst, as well as other releases in the history of these related genres. Most dungeon synth music can find its roots in black metal and in a round-about way, this latest release by IMPERIVM LVCIFERI also finds some connections to those black metal roots. IMPERIVM LVCIFERI have taken a lot of inspiration from the two decades old releases by Neptune Towers on Moonfog Productions, back in 1994 and 1995. Neptune Towers was the side-project of Fenriz of Darkthrone and Isengard fame. These two releases, Caravans To Empire Algol and Transmissions From Empire Algol, took Neptune Towers into some deep space astral synth territory. The music had its occasional hints of something like dungeon synth arising during certain moments. There were also some hints of their black metal roots in some of the distorted guitar based drones used on the albums. But the main focus of Neptune Towers was on their analog drone-work which slowly morphed and evolved over the roughly 40 minute length of each album. Getting into the specifics of the IMPERIVM LVCIFERI project, we can find music that honors those old Neptune Towers albums. The self-titled debut IMPERIVM LVCIFERI takes that basis of deep space astral synth and molds it into a more terrestrial creation. The sounds take on the feel of ritualistic ambient, while the actual sound sculpting itself mainly comes from a single KORG MS-20 mini analog synthesizer – the instrument was sent across Europe to be used by both artists. These ritual sounds, as the project’s name would imply, are focused on invoking the spirit and visions of the dark lord Himself, Lucifer. Since the music is only prepared with an analog synthesizer, we must allow the imagery, track titles and a bit of creativity to help us understand the thematics. There aren’t vocals or field recordings present to spoon-feed listeners the story of the fall and underworldly reign of Lucifer. The album is exactly forty minutes in length and it is split evenly into two tracks: “Lvcifer’s Fall” and “Regency of Chaos”. While as a whole the album is highly secretive, and specifically avoids naming its actual creators, we are given a few small hints about the origins. “Lvcifer’s Fall” was recorded by The Left Hand Path in Germany with the assistance of an analog Roland TB-303 clone and “Regency of Chaos” was recorded by The Observing Eye in Italy with the assistance of various noise generators. Any further information about the project’s origins has been withheld. Maybe they will be revealed in time, or maybe Deivlforst will opt to keep this musical collaboration enshrouded in its current level of secrecy. “Lvcifer’s Fall” is quite lively in its execution. It immediately delves into some high tempo and high attack synth which slowly evolves over the first eight minutes. If we are using the theme of the fall of Lucifer as the basis for these sounds, this section seems to be part of that initial confrontation which would lead to the removal of Lucifer from heaven. By the nine minute mark, the sounds slow considerably. As if the confrontation has ended and Lucifer is now facing the prospect of His descent from the heavens. The intensity gently increases as we move toward the end of the track, which seems to symbolize the actual fall itself. The second half of the album, “Regency of Chaos” starts off much more subtely than “Lvcifer’s Fall”. The atmosphere begins in a quiet, somber setting. The synthesizer moves at a slow tempo, allowing the sounds to gently increase in their intensity as the track progresses. By ten minutes into “Regency of Chaos” the music has risen to its high-mark. That same gentle bassy foundation is still present, but other sounds have come into the fold. This progression seems to symbolize Lucifer’s first moments in the underworld, when His kingdom was not yet fully realized. But as the track progresses, so too does Lucifer’s vision of His new kingdom. By the close of the album, there are disturbing sounds, which almost seem to represent those infernal depths, soundscapes wrought in the bowels of Hell itself. 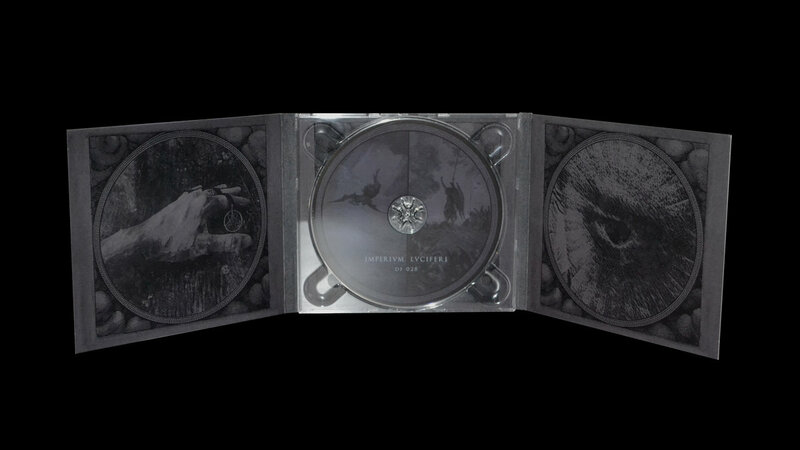 As is usually the case with Deivlforst releases, the packaging (6-panel digipack CD) is sure to be of the highest quality. Grimrik has mixed and mastered the album, as well as edited the artist photos. As any fan of Deivlforst knows, Grimrik never disappoints when it comes to his (post-)production standards and execution. The talented artist Will Helm contributes the simple yet gorgeous cover art, depicting the pentagram behind a snake coiled around a sword, which is adorned with a crown, surely representing the rule of Lucifer. The package is arranged into its ultimate layout by none other than Dan Capp, renowned for his previous Deivlforst work as well as his work with black metal legend Burzum, among others. As the album will be manufactured in an ultra-limited edition of only fifty copies, die-hard Deivlforst fans should move very quickly to secure their copy. The release will likely sell-out in a very short time-frame.